Product prices and availability are accurate as of 2019-04-17 13:46:59 UTC and are subject to change. Any price and availability information displayed on http://www.amazon.co.uk/ at the time of purchase will apply to the purchase of this product. Since it was rescued from closure the Settle & Carlisle Railway has become ever more popular, with its spectacular views of the Pennines and the Eden Valley. 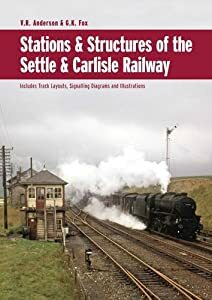 Although not actually within the Lake District the "Settle & Carlisle" comes so near, at one point passing just over five miles from Ullswater, that we couldn't leave this book out nof our list.